IgoLocal is a new way to find go players in your community or when you’re traveling. Creator Chuck Thomas – who also runs Shodan Imports — calls IgoLocal “the first physical go server and location service,” and the free online service — which just launched — makes it easy to find local go players who match your rank, challenge them to games at a specific time and location and create open games for anybody in your area to accept. 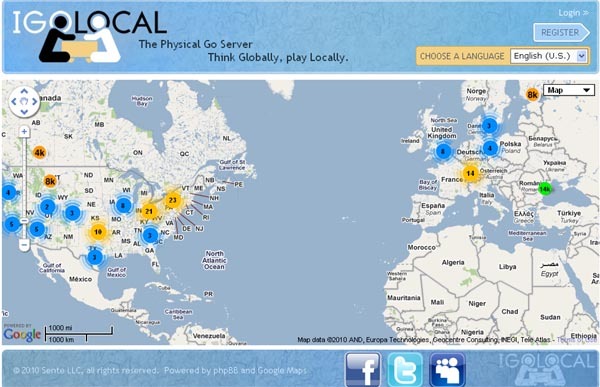 IgoLocal is also designed to help go players find and join local go clubs, create a go club that will be seen by the entire world and manage your local schedule of go-related activities. “Register now so that other go players in your area can find you!” urges Thomas.